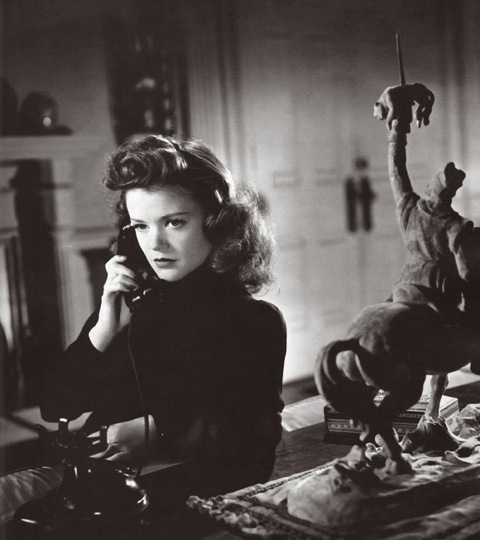 The lecture will be preceded by a screening of Cat People (1942) from 3 to 4:15 pm at the same location. Val Lewton’s Cat People, like the other eight films with which he redesigned the horror genre in the 1940s, is about the presence in human life of an otherness that is not an emanation of Evil or preternatural powers but comes from a place of darkness, an alterity, within the human. Irena fears that her body, under the sway of sexual emotions, will transform into a panther. While refusing to visualize the transformation, the film materializes her fear for the spectator by the innovative use of sound, creating the figure of a “pantherness,” an internal force that compels and transforms Irena. Teresa de Lauretis is Distinguished Professor Emerita of the History of Consciousness at the University of California, Santa Cruz. She has written on cinema since The Cinematic Apparatus (co-edited with Stephen Heath, 1980) and Alice Doesn’t: Feminism, Semiotics, Cinema (1984). Her recent essays in Freud’s Drive: Psychoanalysis, Literature and Film (2008) and others are working toward a theory of reading and spectatorship based on the figurality of language and the psychoanalytic concepts of transference, seduction, and the drive.